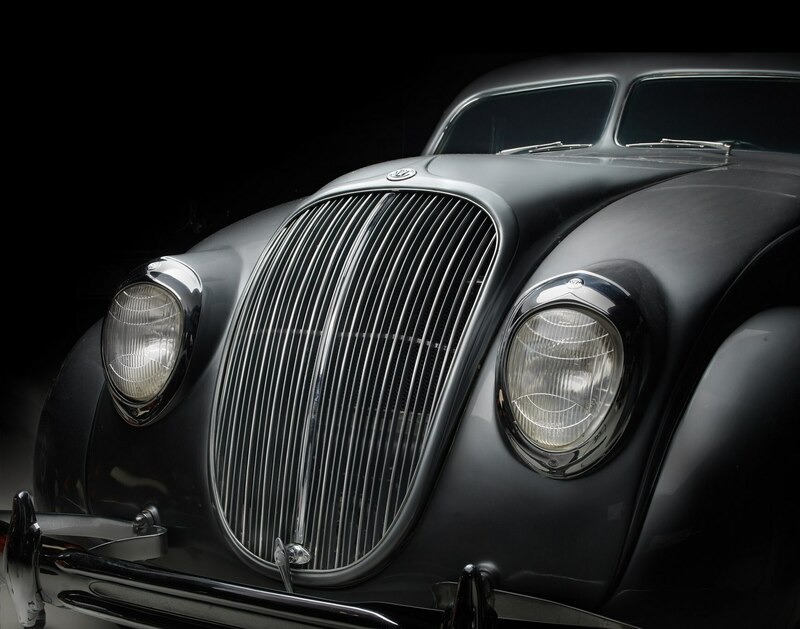 If you were waiting for a reason to plan a road trip to Portland, Oregon—here’s a good one. 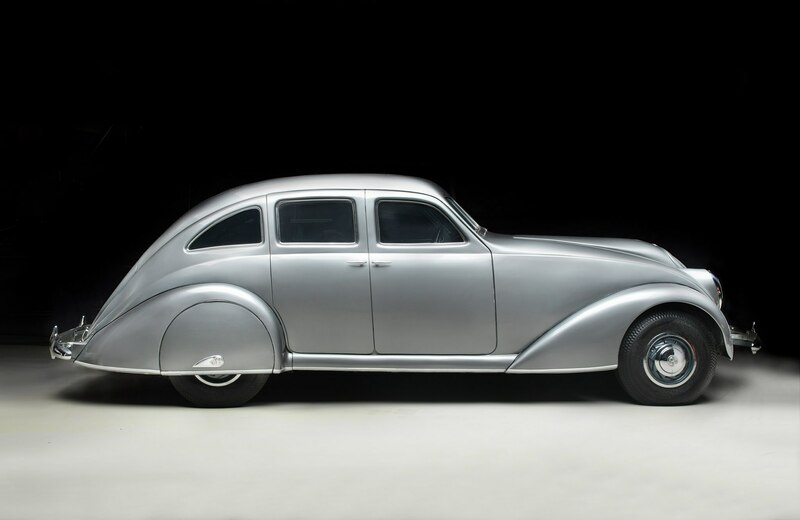 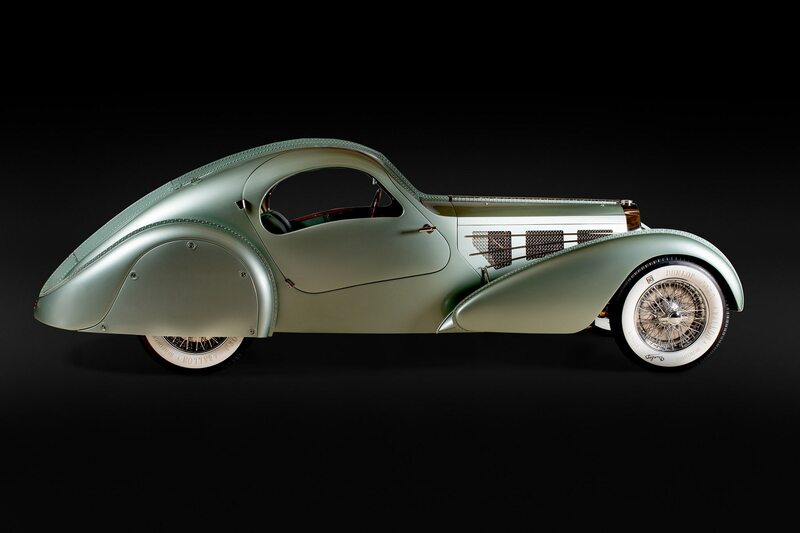 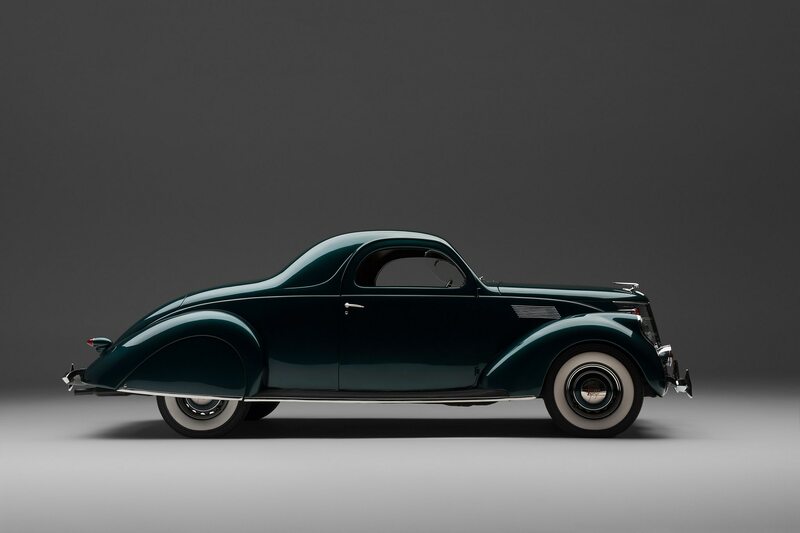 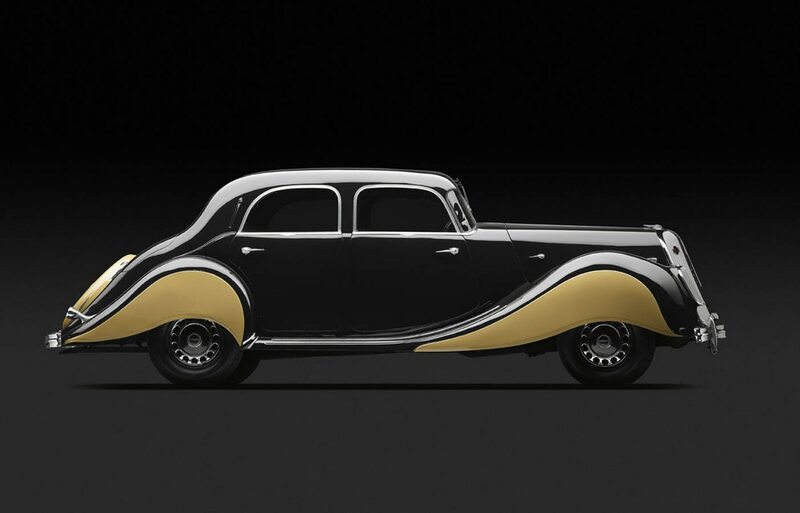 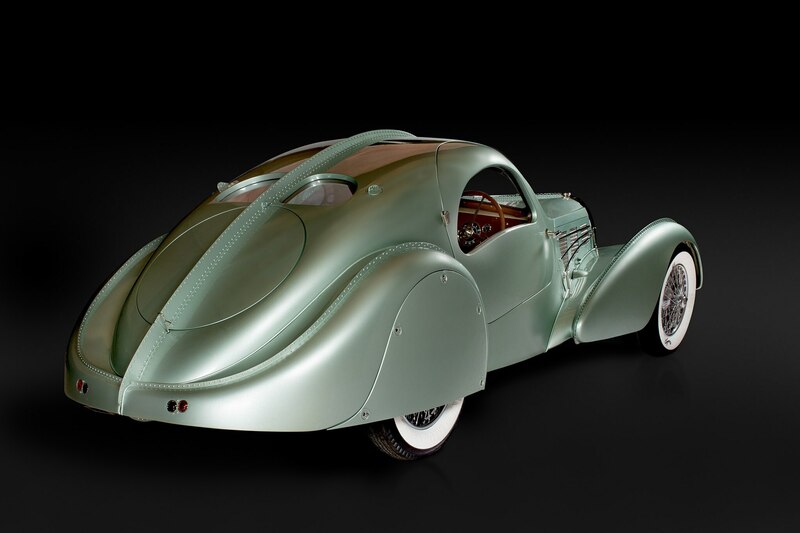 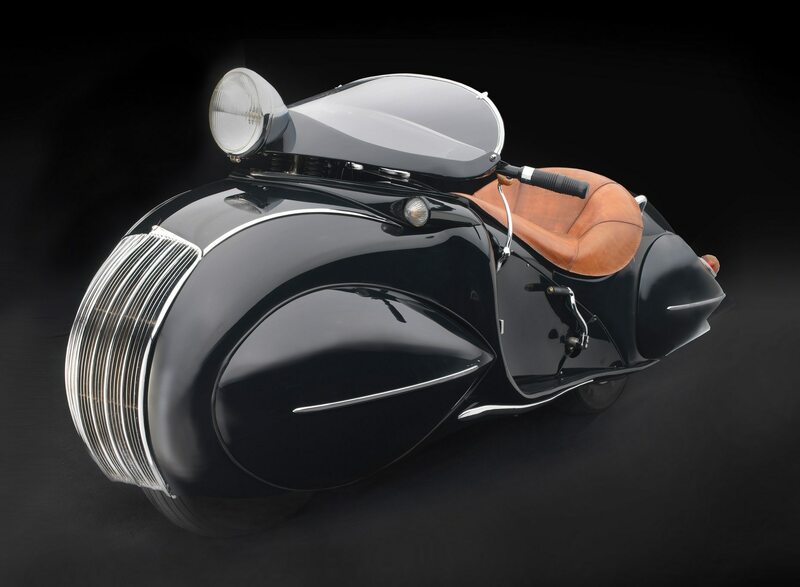 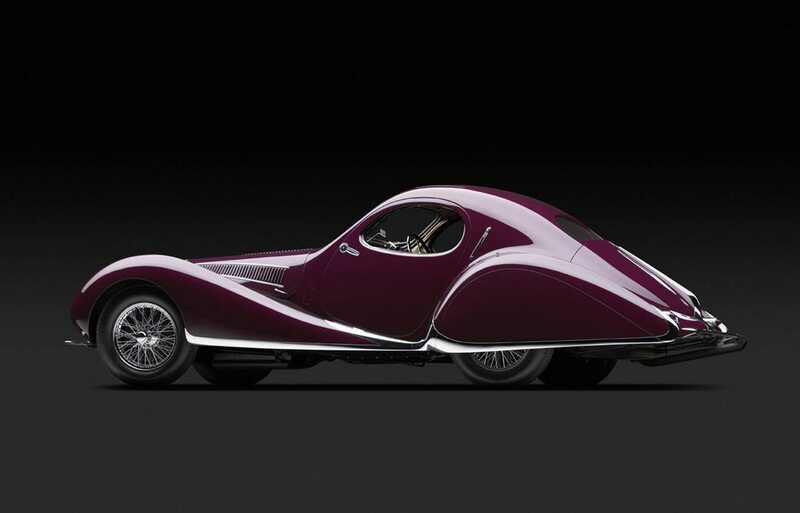 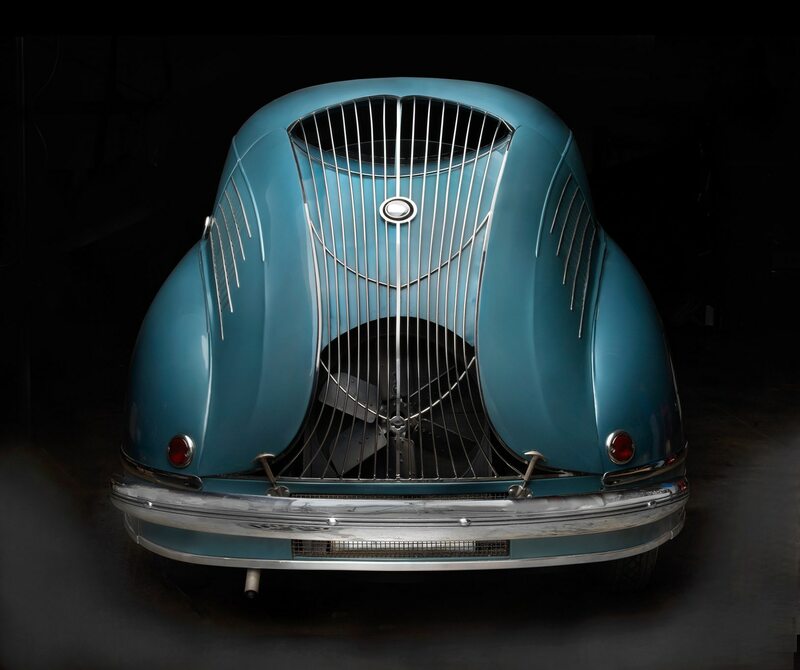 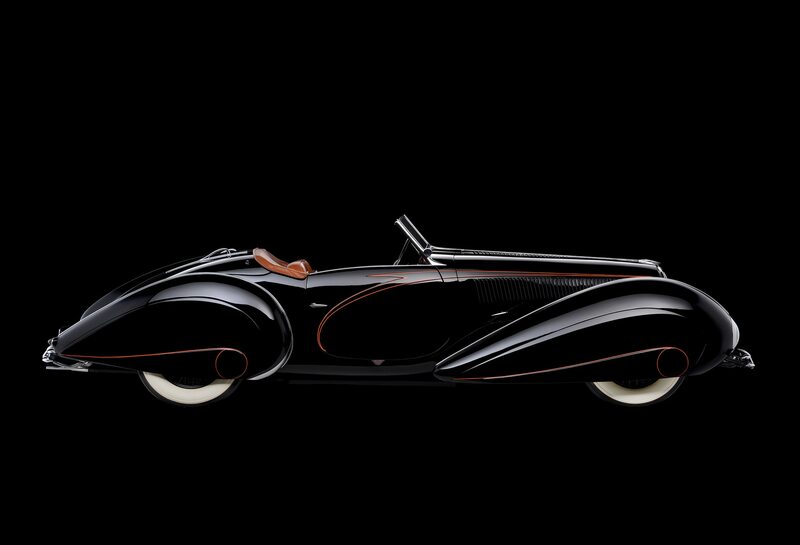 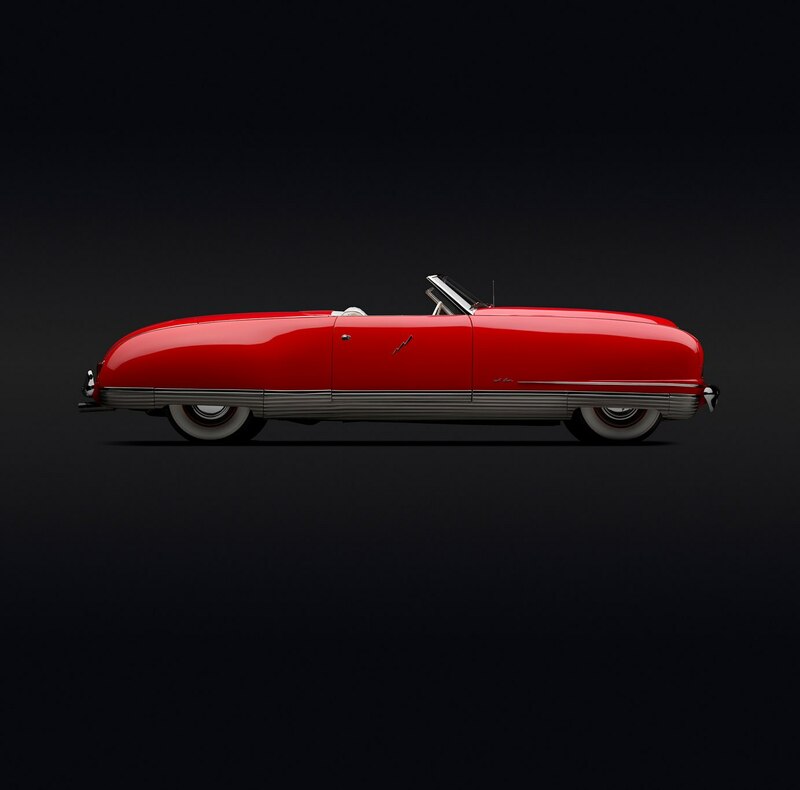 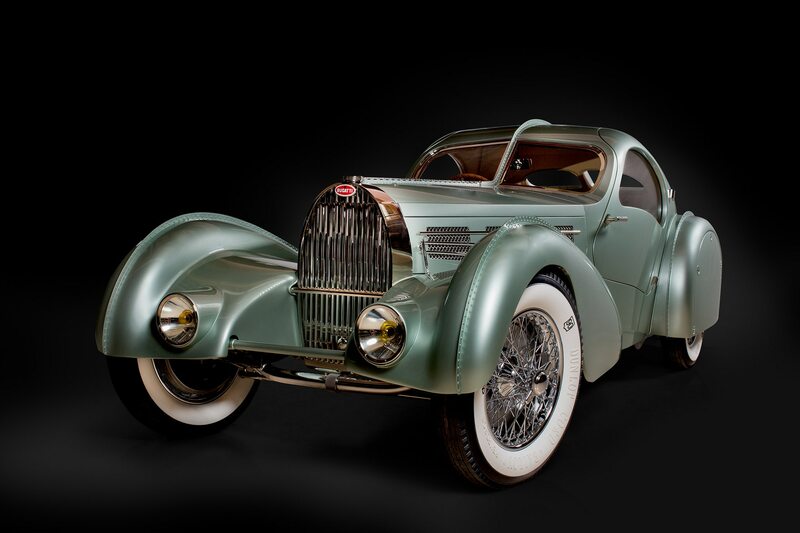 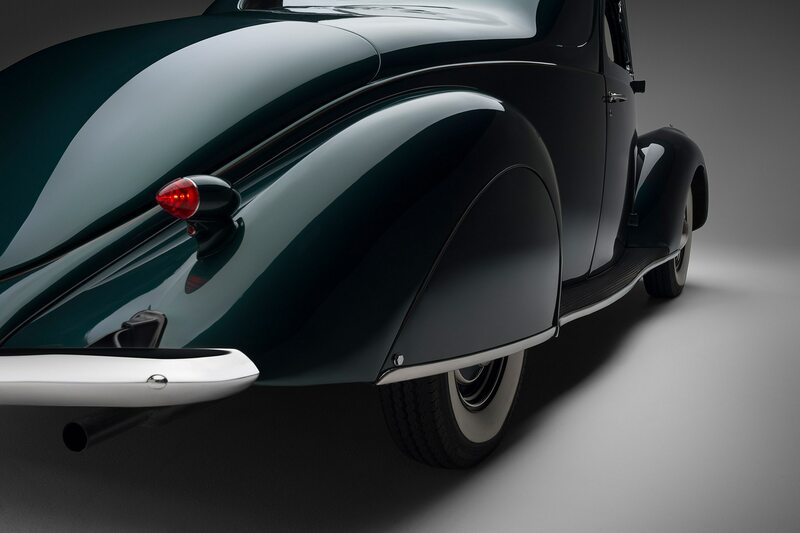 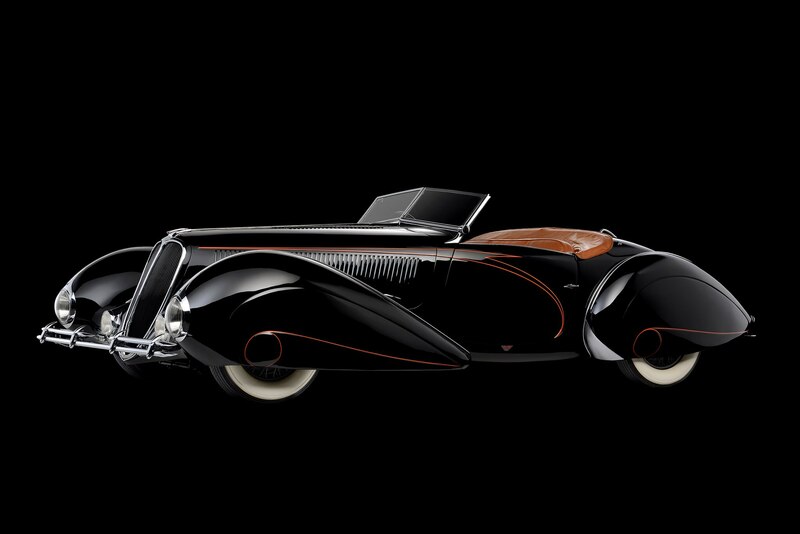 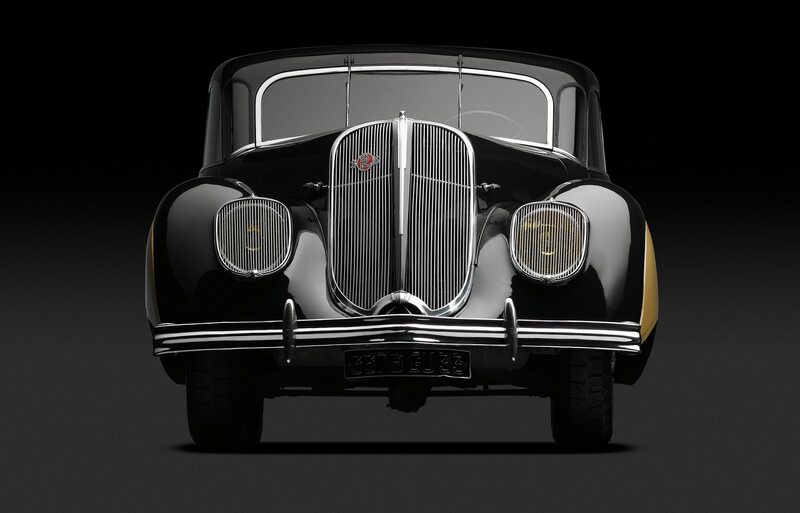 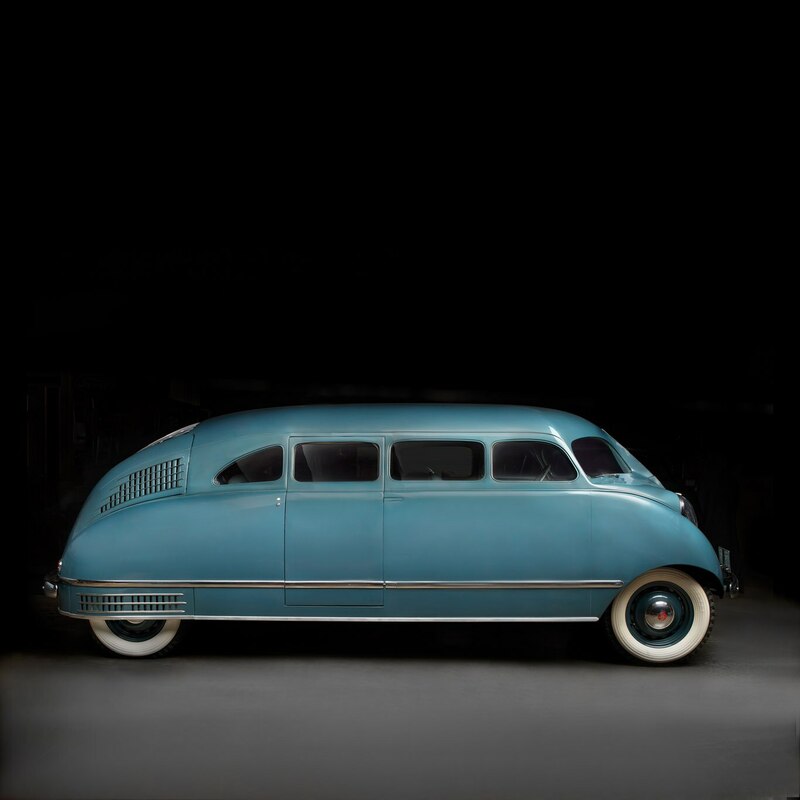 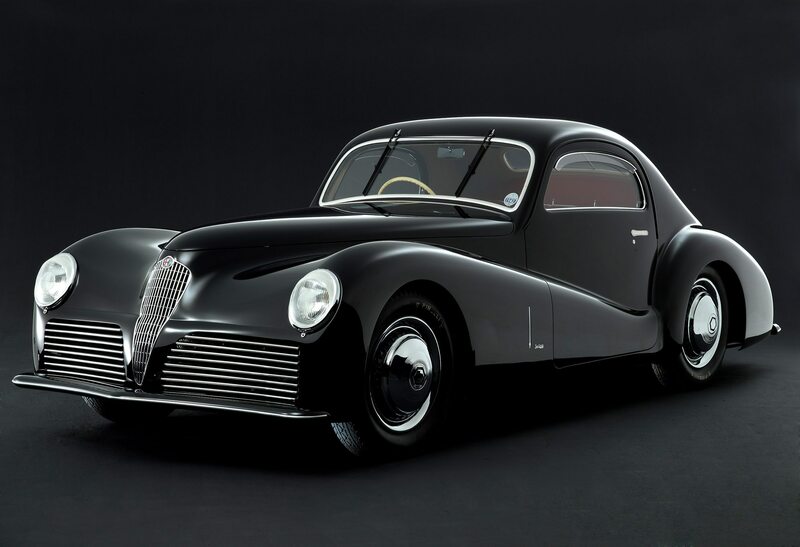 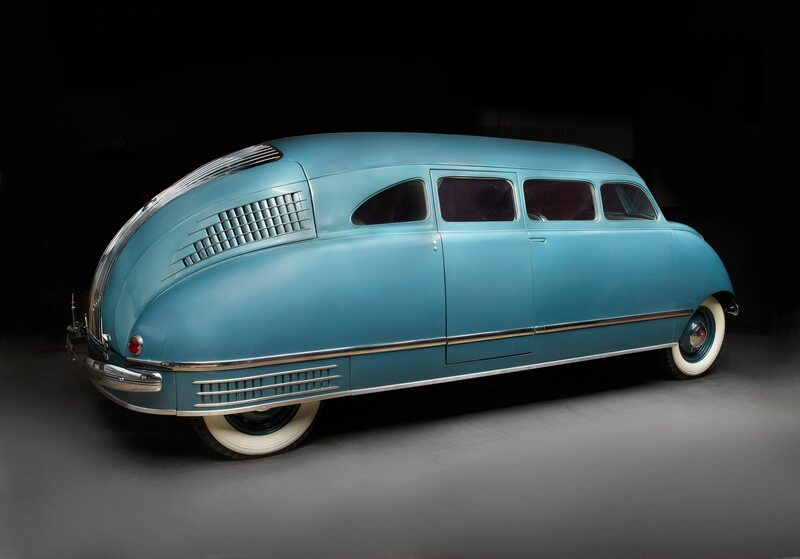 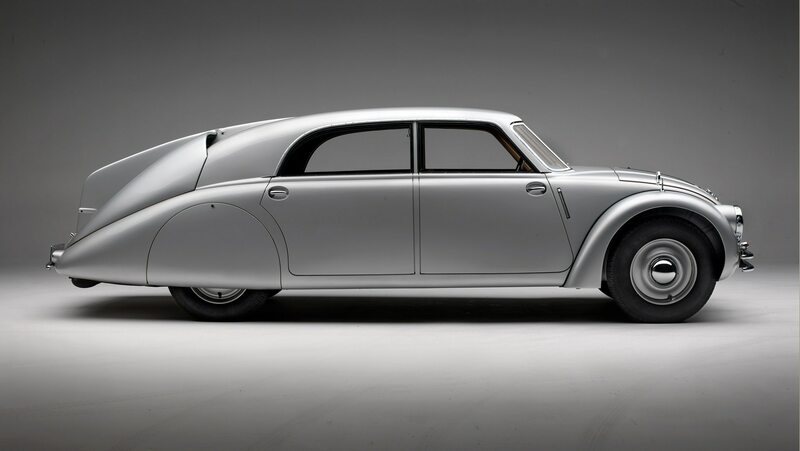 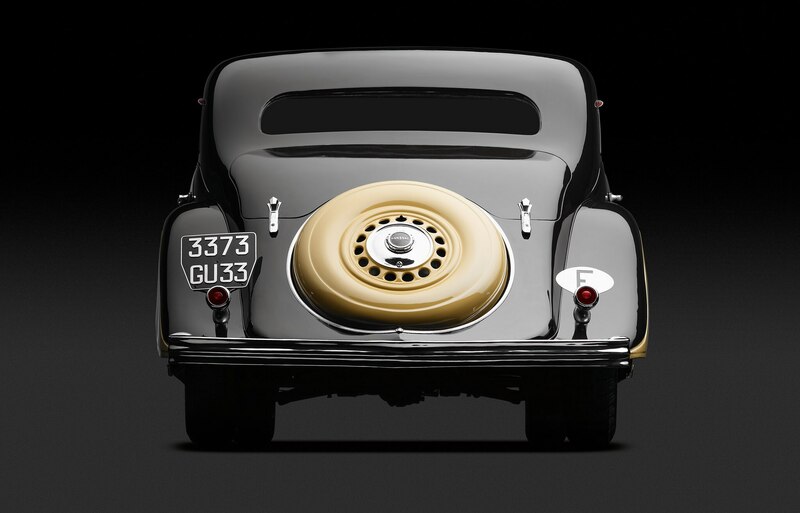 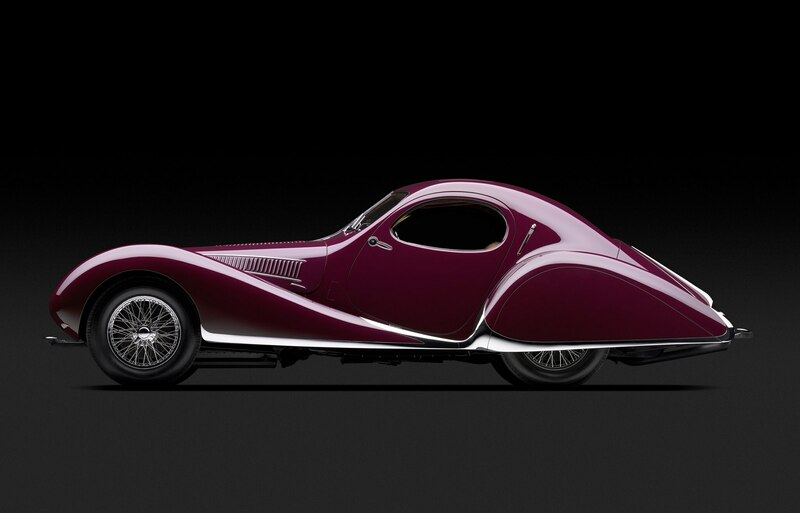 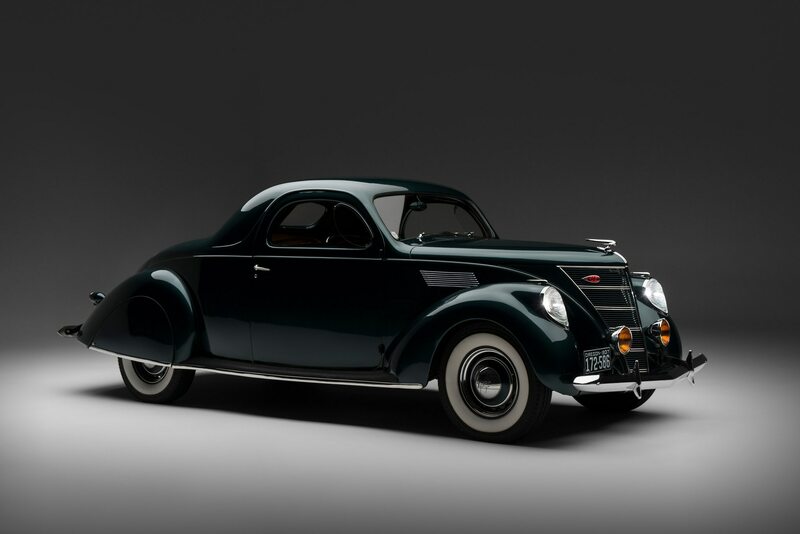 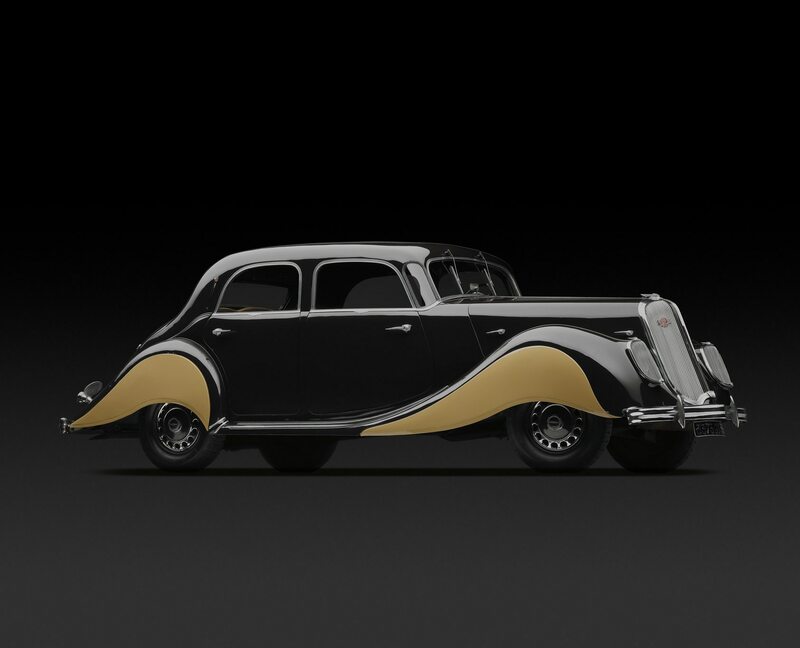 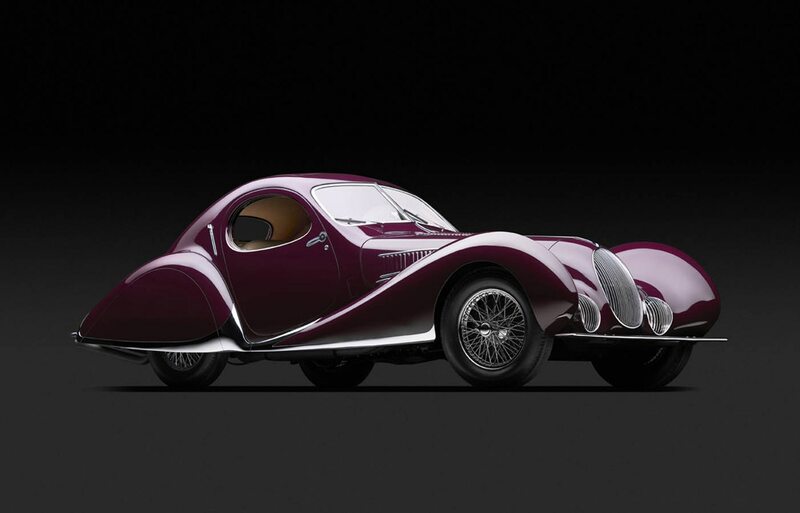 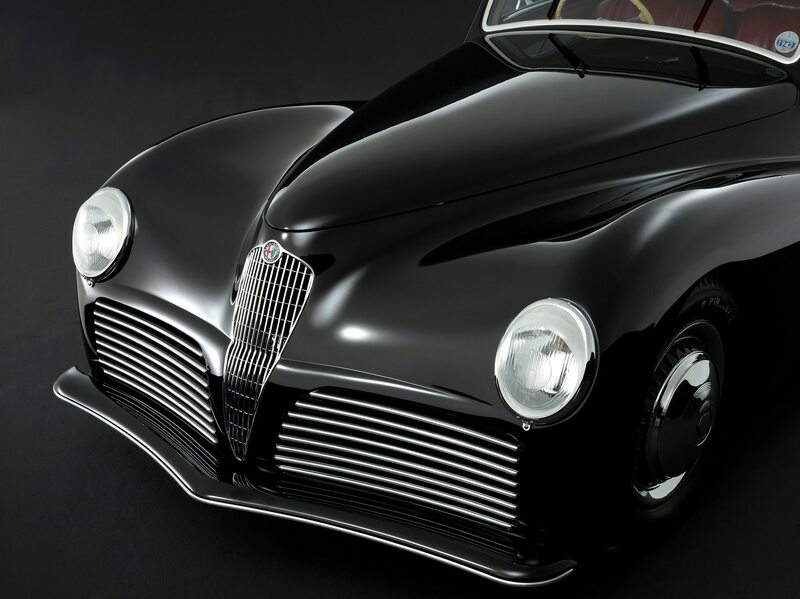 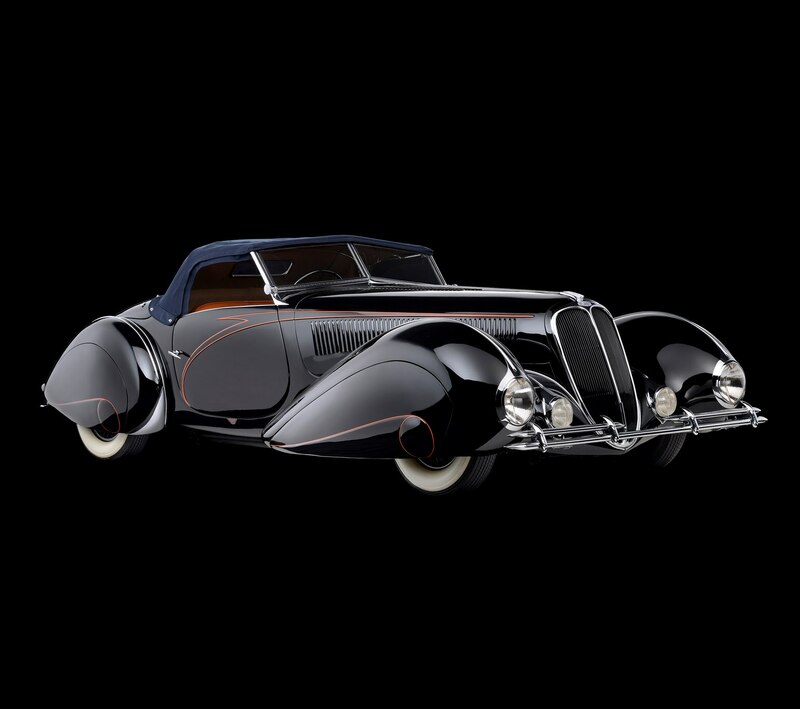 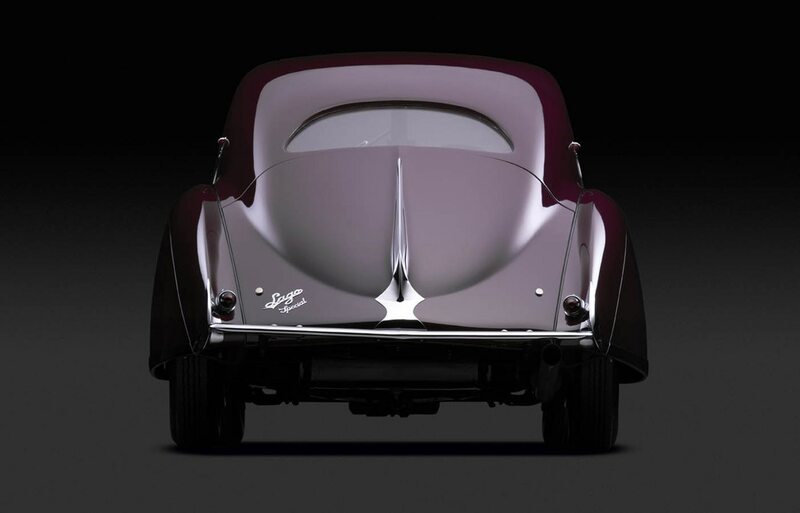 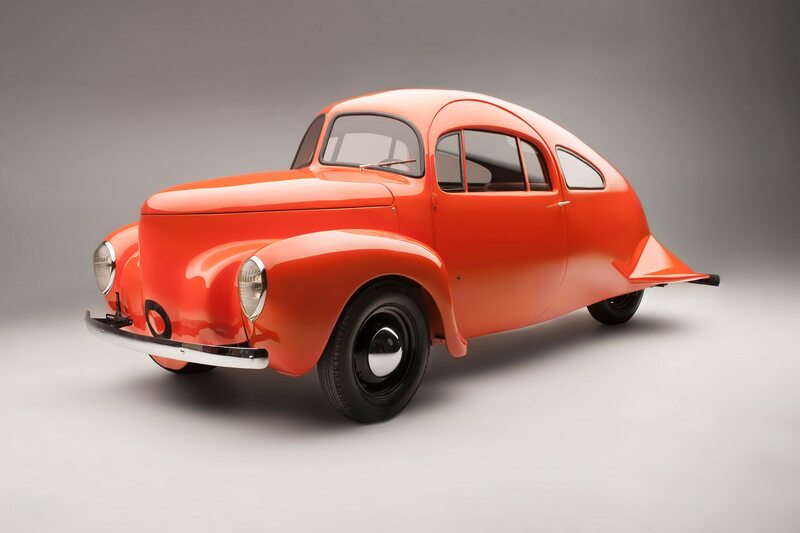 The Portland Art Museum’s “The Shape of Speed: Streamlined Automobiles and Motorcycles, 1930–1942” exhibition will open this month. 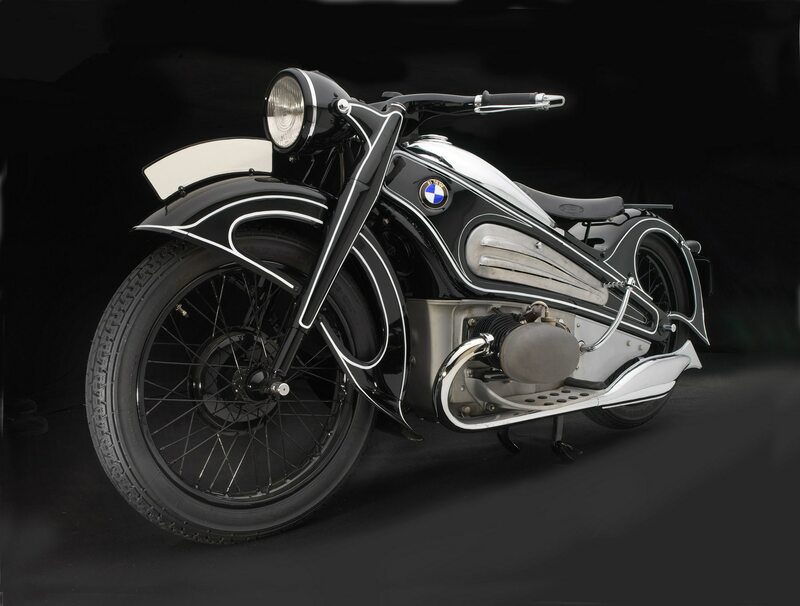 The show will feature 19 streamlined cars and motorcycles from Europe and the U.S. and is a must see for fans of sleek, smooth, and super rare wheels. 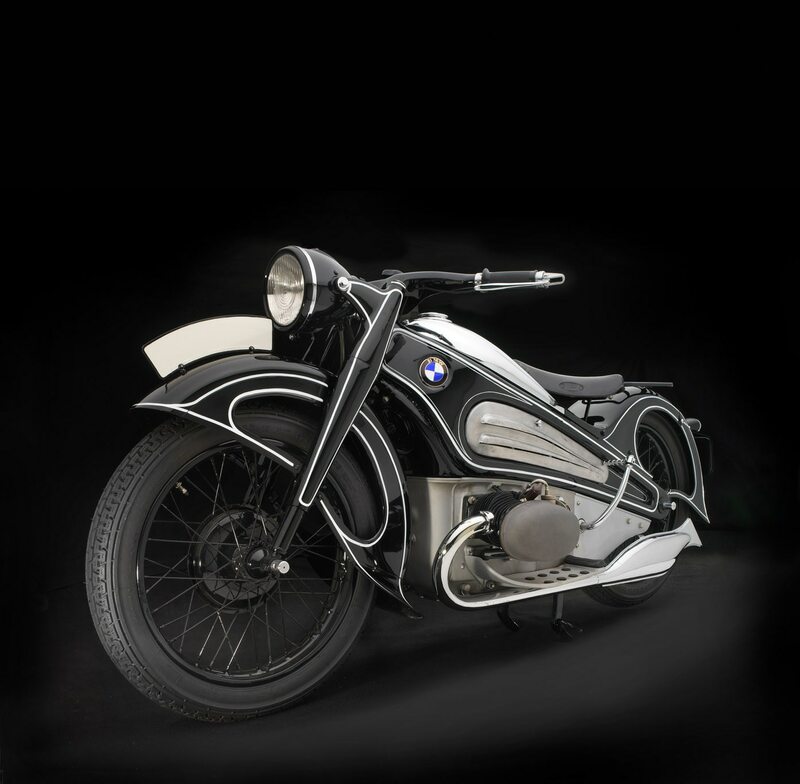 UPDATE: Funnyman/car and motorcycle collector Jay Leno will attend the opening conversation on June 16 and an opening lecture by guest curator Ken Gross is planned for the following day. 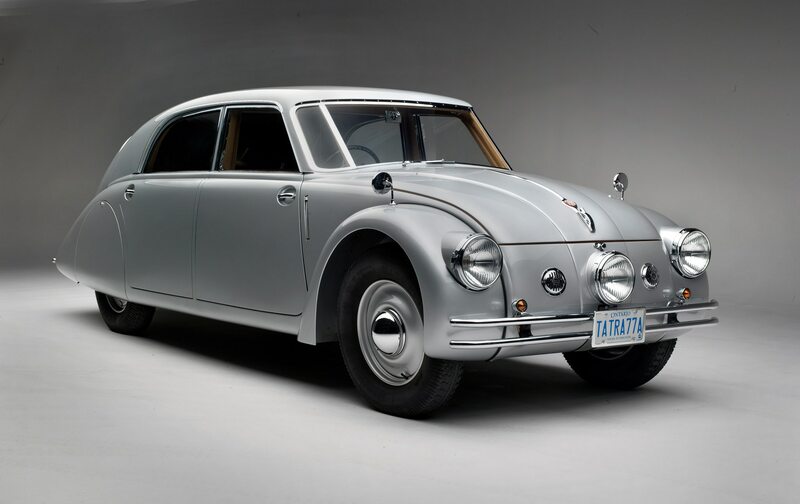 Also, check out the gallery below for more photos of the amazing collection of vehicles including the Airomobile pictured here. 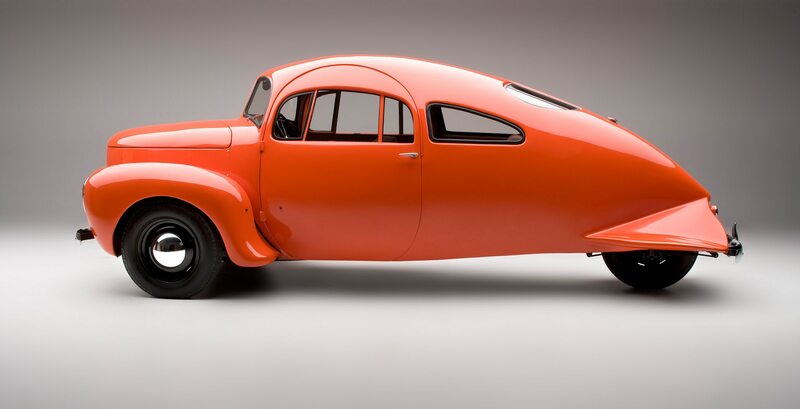 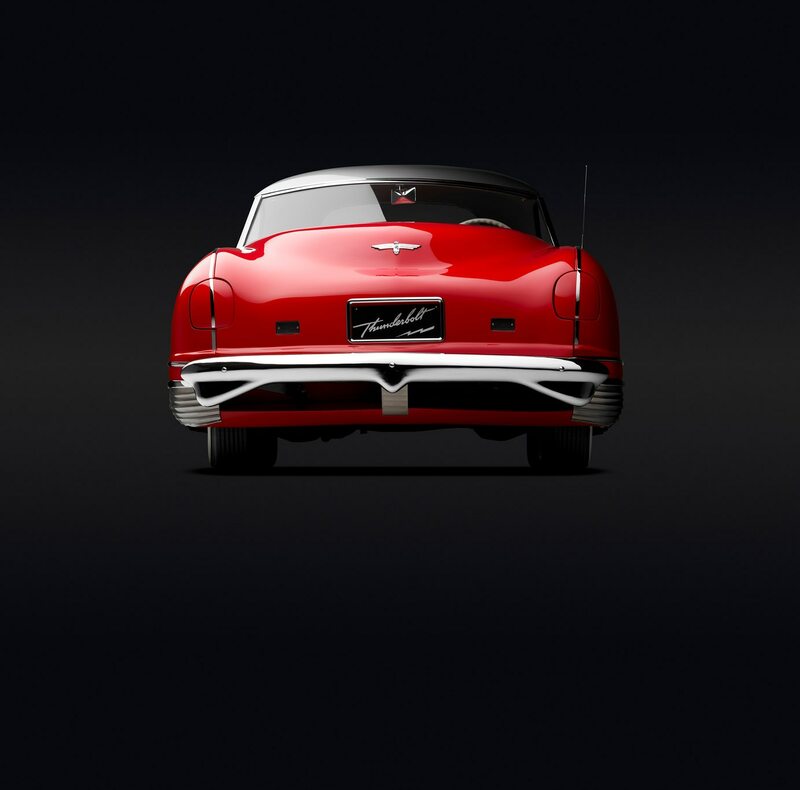 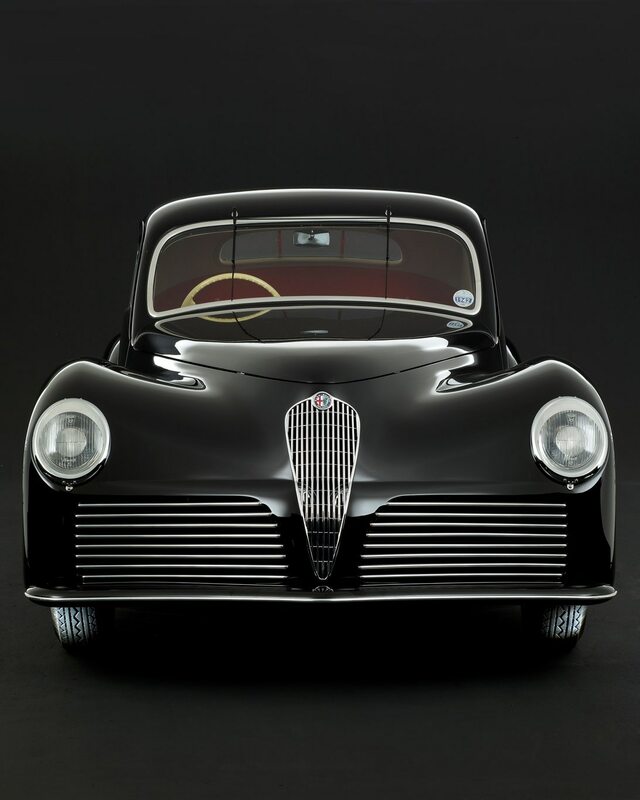 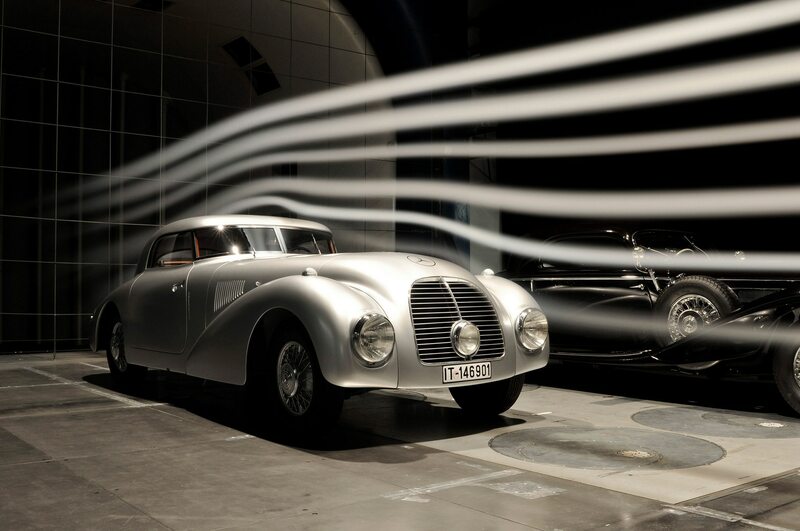 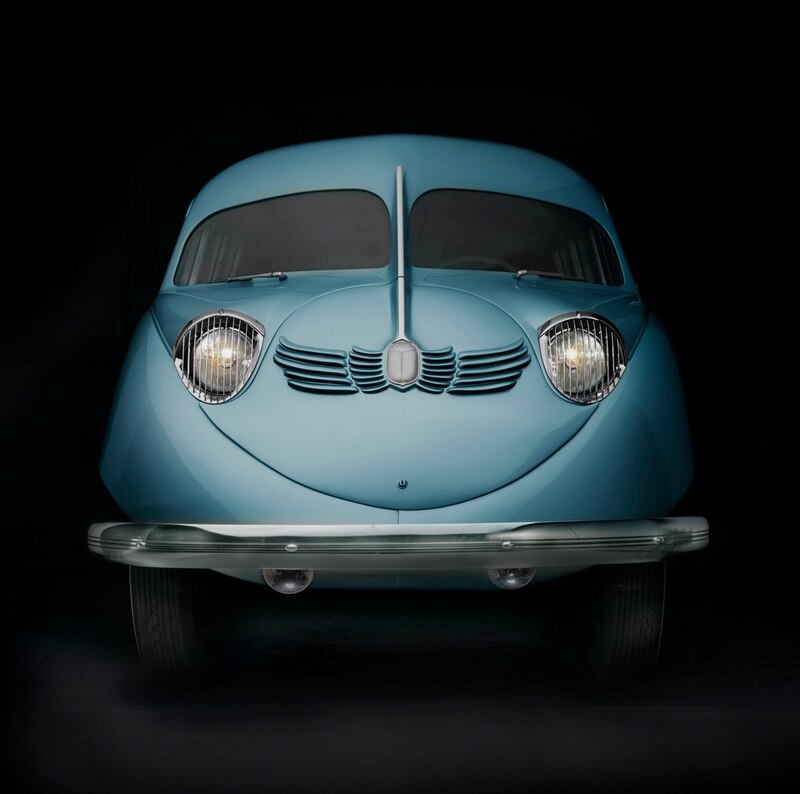 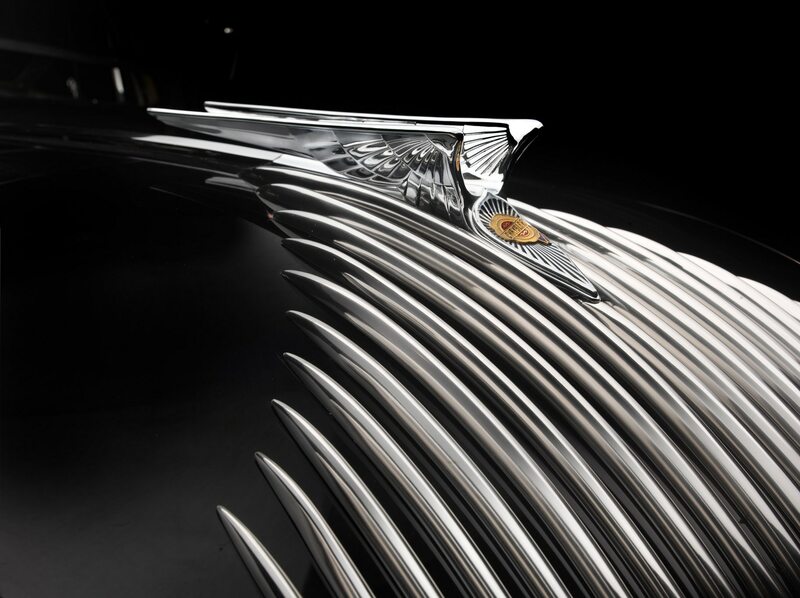 “The Shape of Speed celebrates great design that moves us,” said Brian Ferriso, Portland Art Museum chief curator and director, in a statement. 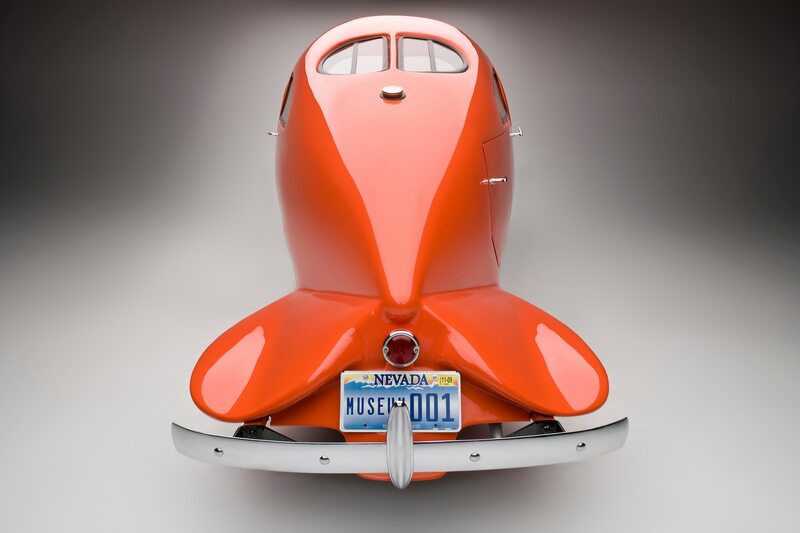 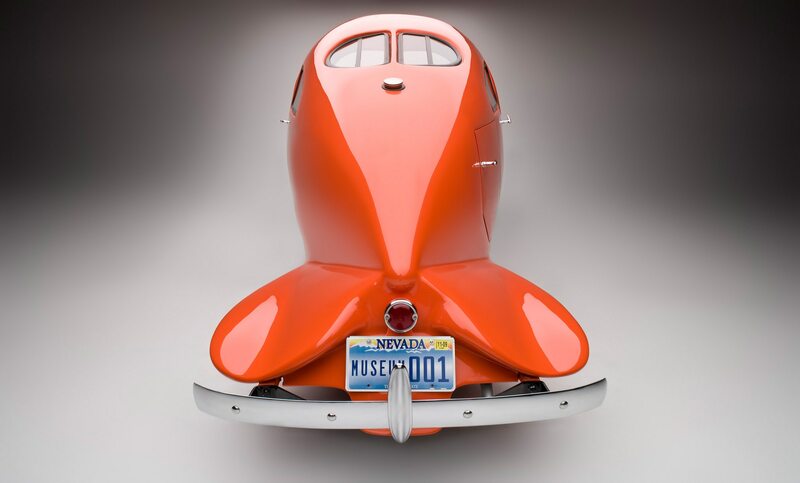 Rolling teardrop-shaped works of art by designers and engineers including Paul Jaray, Richard Buckminster Fuller, Norman Bel Geddes, Raymond Loewy, Harley J. Earl, Jean Bugatti, and several notable others are showcased in the new exhibit that’s guest curated by Ken Gross, the former director of the Petersen Automotive Museum. 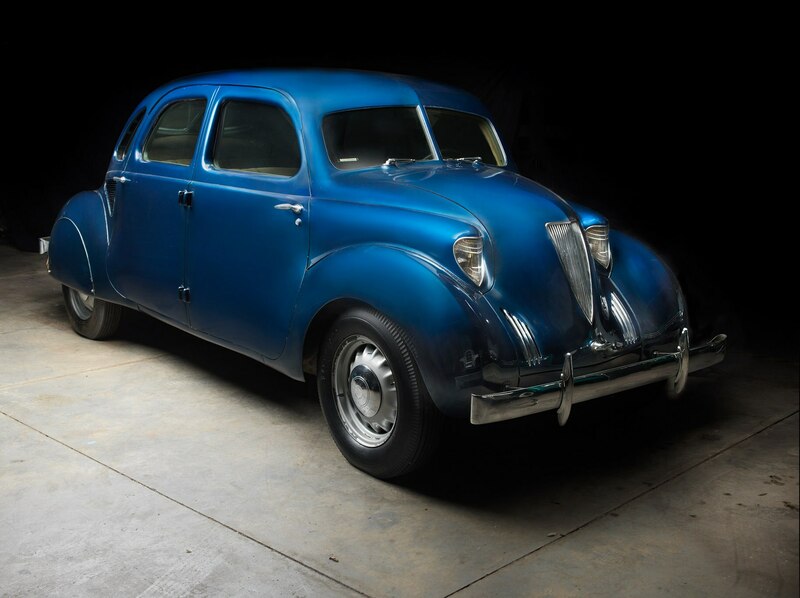 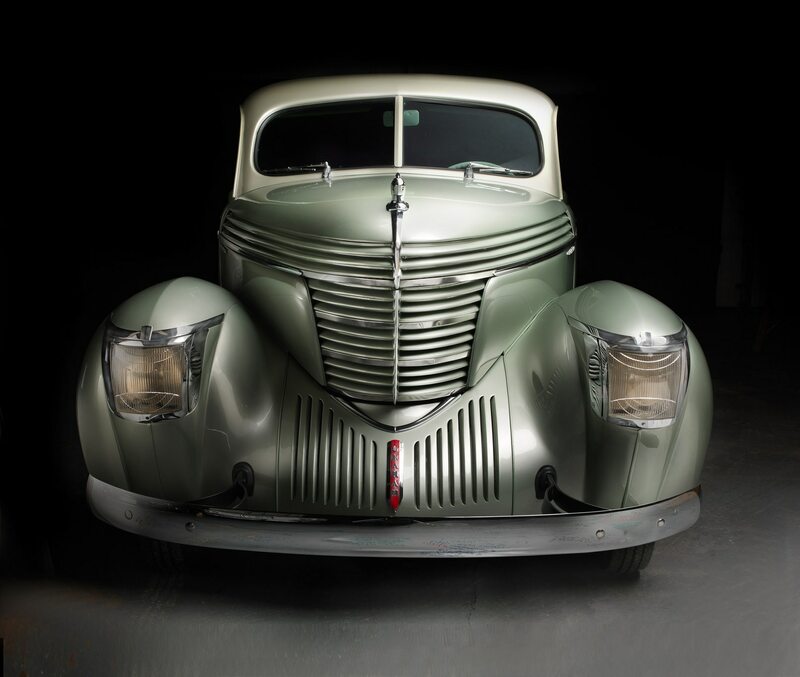 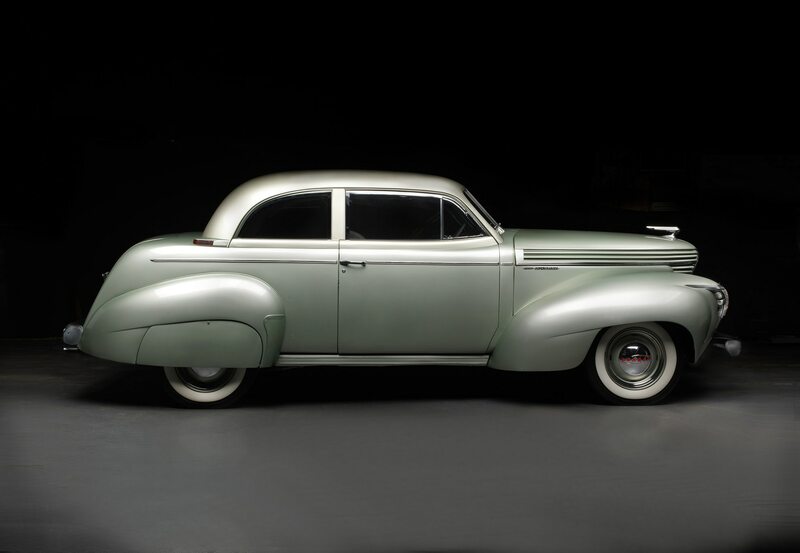 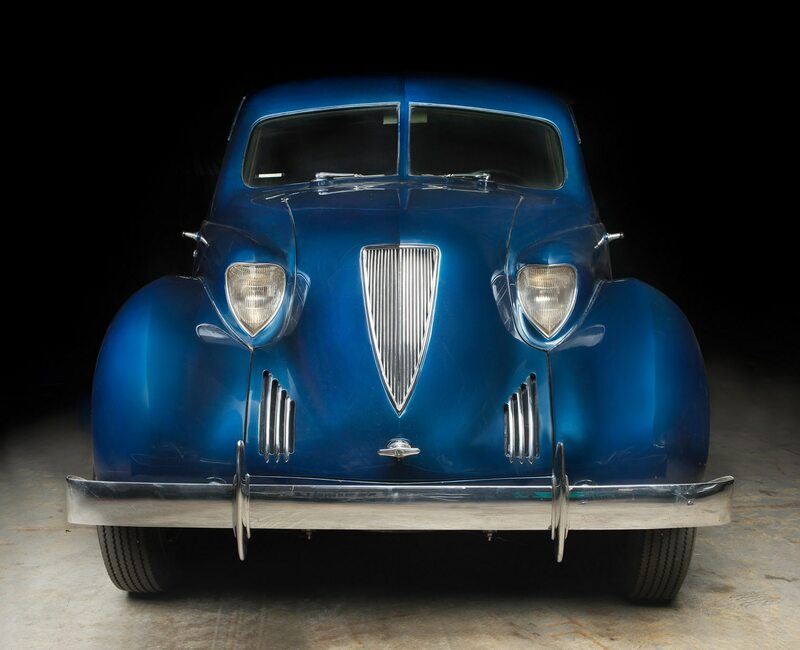 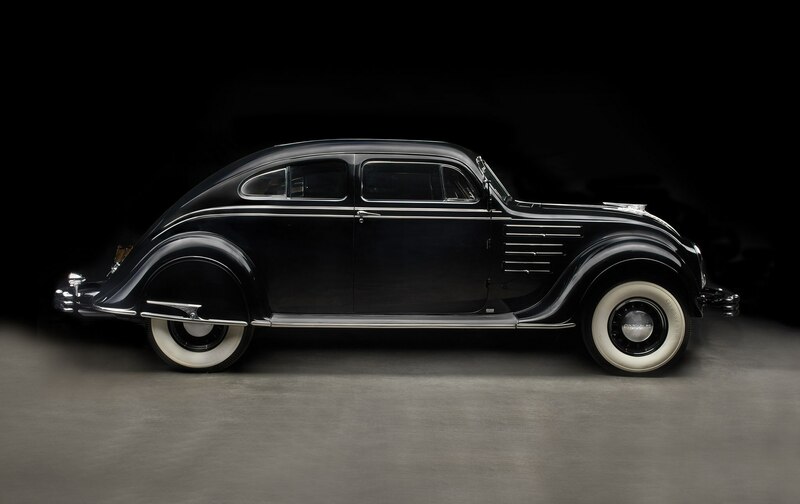 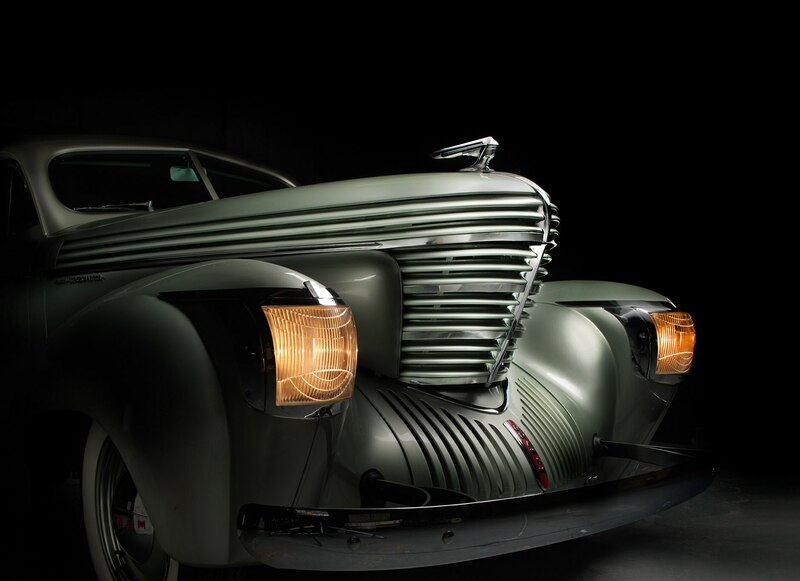 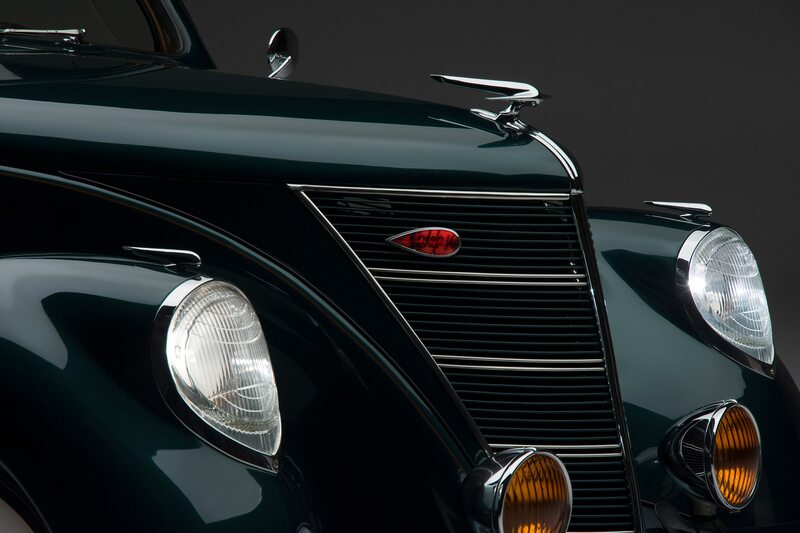 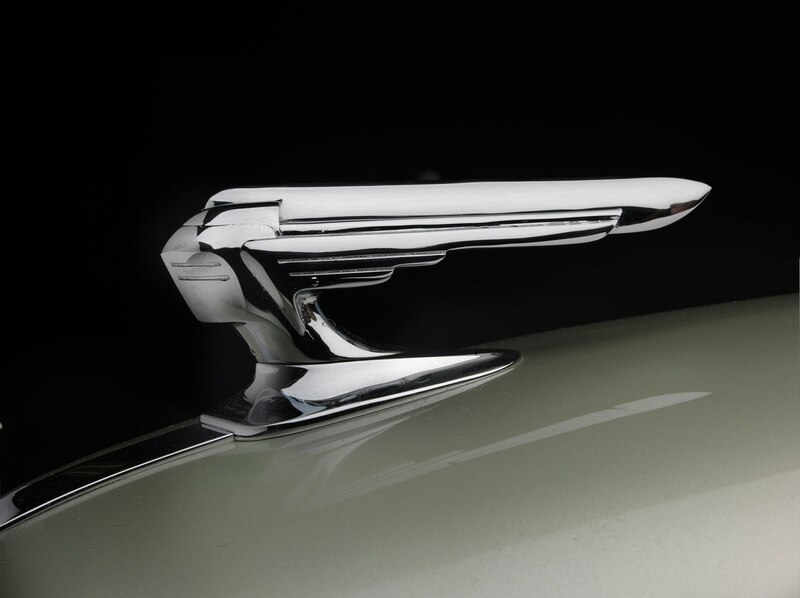 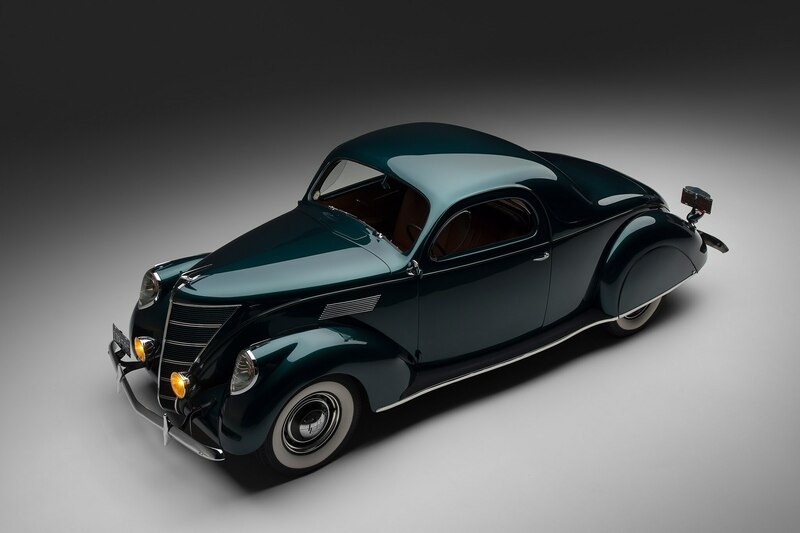 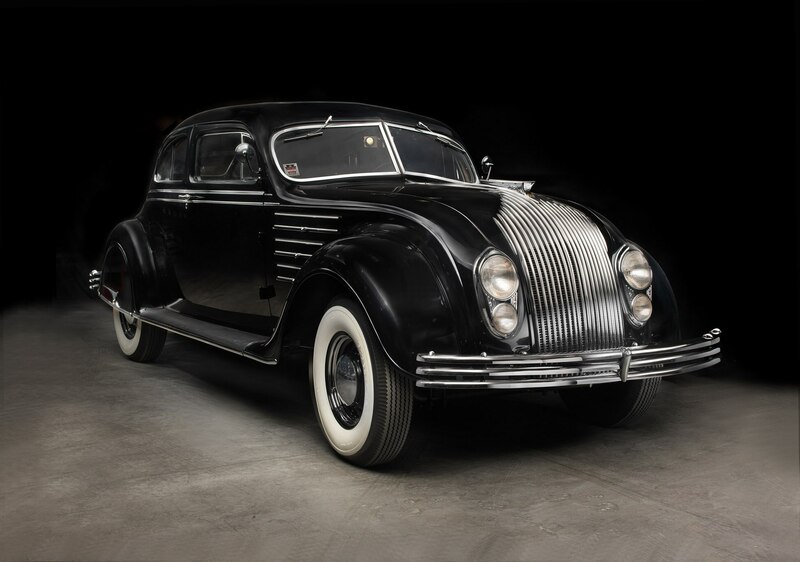 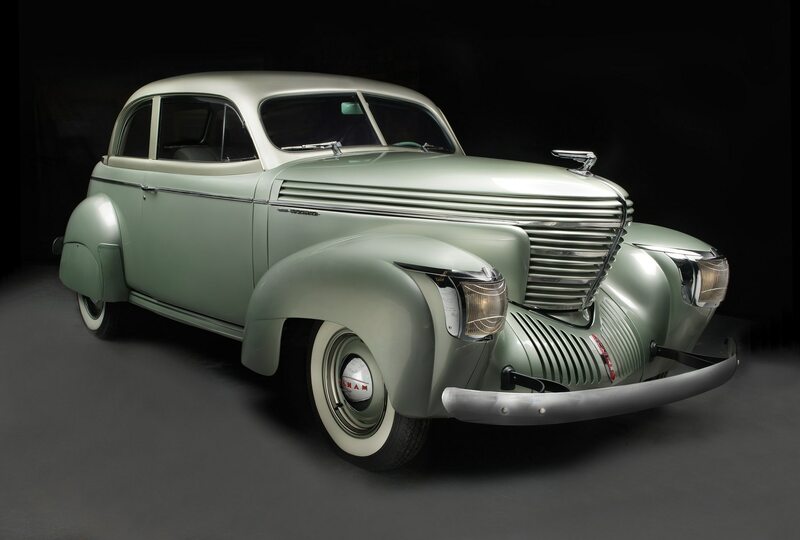 The Shape of Speed exhibition includes a 1937 Talbot-Lago, 1938 Mercedes-Benz 540K Stromlinienwagen, and other rare gems, but our favorite is this 1941 Chrysler Thunderbolt. 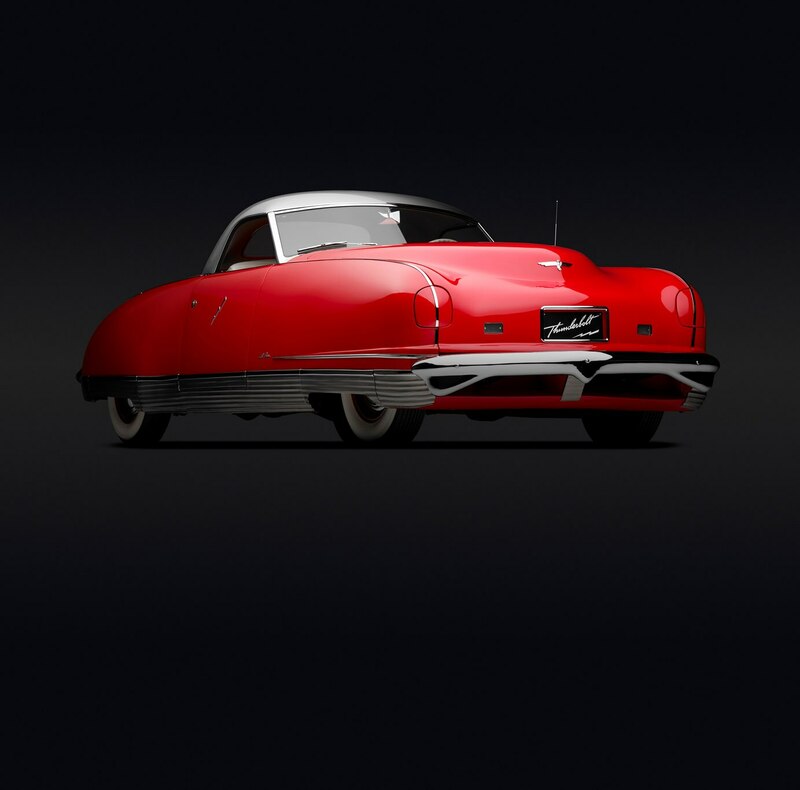 The red roadster features hidden headlights, enclosed wheels, and a retractable, one-piece metal hardtop—too cool. 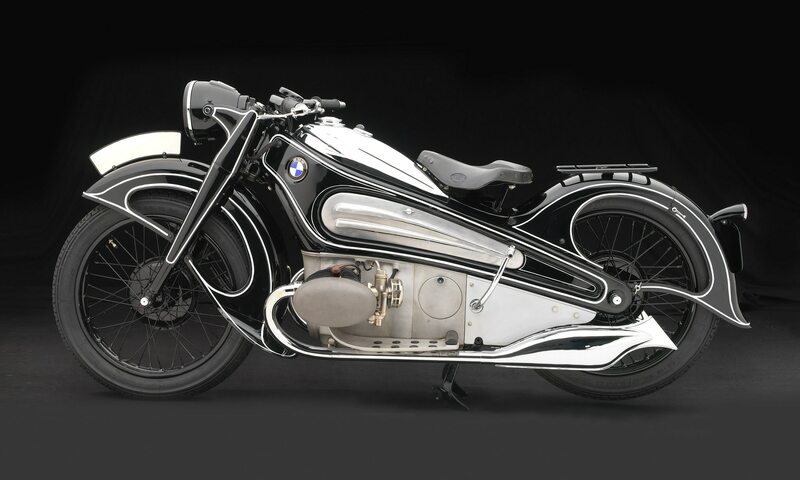 Two radically streamlined motorcycles are also featured and include a 1930 Henderson KJ built by Orley Ray Courtney and a 1934 BMW R7 concept with a pressed steel frame from the same period. 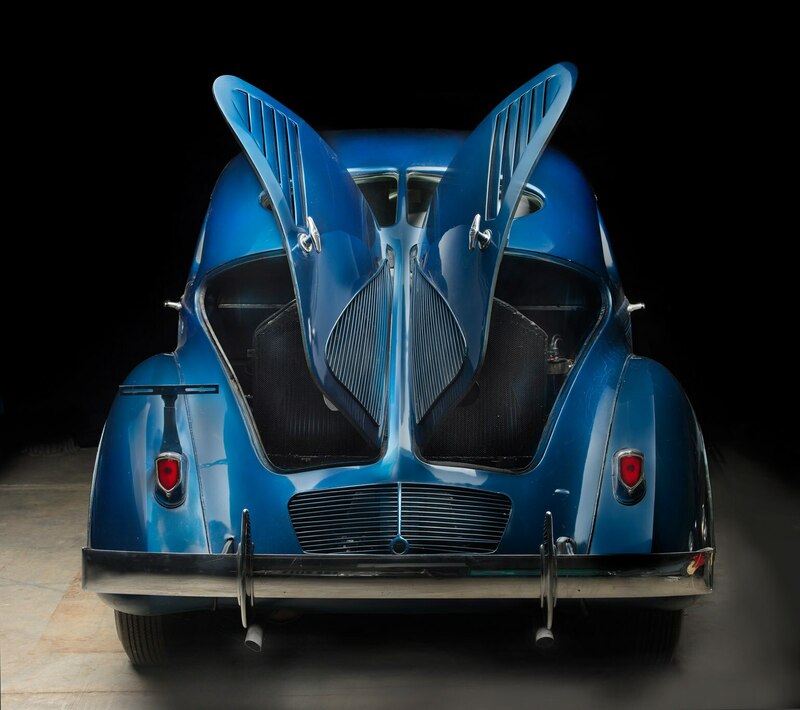 The Shape of Speed exhibit opens June 16 and will be on view through September 16, 2018. 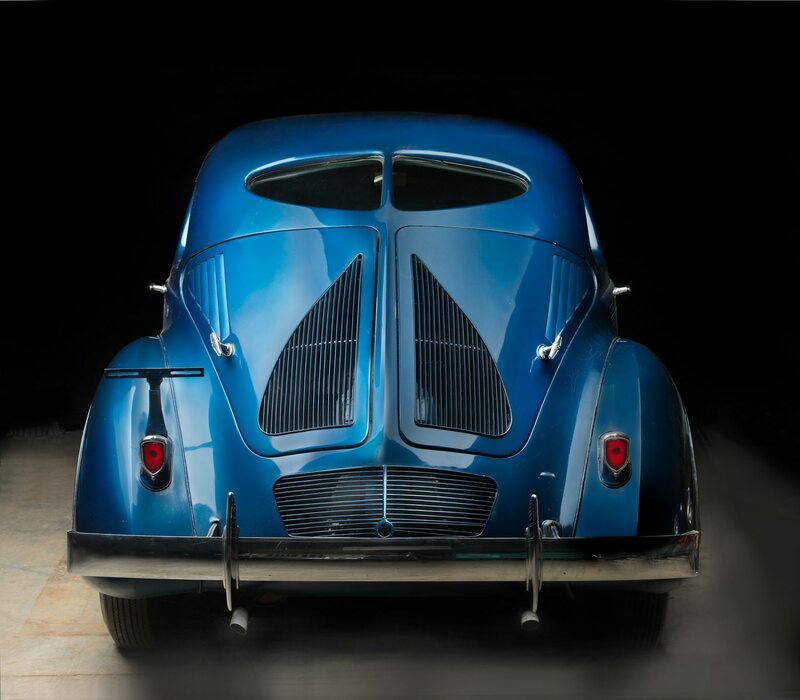 Photos by Peter Harholdt are courtesy of the Portland Art Museum.